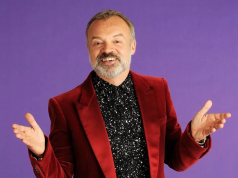 The Late Late Show is back with a fantastic line-up this Friday. Television presenter Kathryn Thomas and former international footballer Kevin Kilbane recently took to the streets of Dublin in wheelchairs with one mission to get from A to B in the shortest time possible. What they discovered really opened their eyes about the realities of just how inaccessible Ireland’s streets are for wheelchair users. 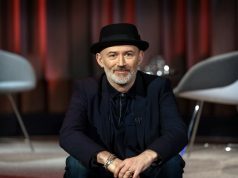 They’ll join Ryan Tubridy on Friday night to share their experiences alongside wheelchair user Stephen Cluskey who will fill viewers in on the practical difficulties he, and other wheelchair users, face on a daily basis. Imelda May is back with a new album and a completely new look. She’ll be joining Ryan on The Late Late Show to chat about developing her sound and taking inspiration from a hectic couple of years when writing her new album. She’ll also be performing a couple of songs. Colm Meaney plays the late Martin McGuinness in his new movie The Journey. He’ll be on the couch to share his thoughts on what it was like to play one of the icons of the Republican movement, his own encounters with McGuinness and the legacy he leaves behind. Also joining Ryan on Friday night’s show will be Gary Cunningham. He’ll be sharing the inspiring story of how he turned his life around, having battled a drink and drug problem, and managed to use his time in prison to become a successful writer and musician. Plus music from Lee Matthews; and viewers will meet the world’s smallest cow and calf. 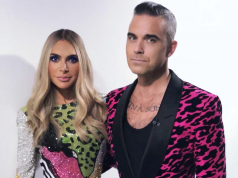 Is this the REAL reason why Robbie Williams and Ayda Field quit The X Factor?